Our two tennis courts were resurfaced in the spring of 2016. The court area has a covered area which provides shade between the courts. 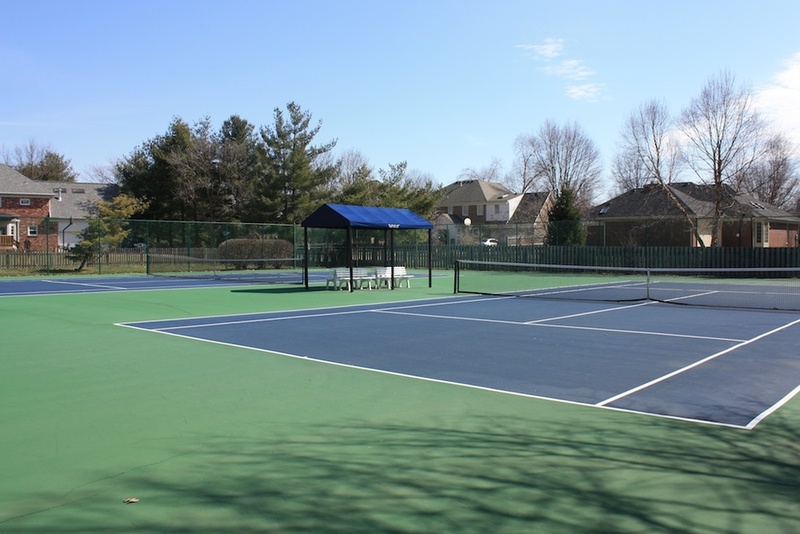 Tennis courts are for the use of members only and guests accompanied by members. The tennis courts are for tennis only. Rollerblades, bicycles, scooters and pets are strictly prohibited. Volleyball, baseball, dodgeball, etc. are NOT allowed at any time within the court area. Proper tennis attire is required. Flip flops are prohibited. No children are allowed on the courts unless they are wearing appropriate shoes and have tennis racquets. Gate codes are changed at the start of every season. Check with the Club Manager or Gatekeeper for the security code.